We’re 12 films in and there are plenty more to come from Marvel Studios. The latest, “Captain America: Civil War,” is ostensibly a Captain America film, but it’s really more of a third Avengers movie. It takes the events of “Marvel’s The Avengers” and “Avengers: Age of Ultron” and shows us the logical fallout: the world is freaked out. As a result, the UN uses the collateral damage in the battles of New York and Sokovia as an excuse to rein in the Avengers. Naturally, our protagonists react in a variety of ways, and wind up fighting each other. As is made obvious in the publicity materials for the film, the protagonists line up roughly equally behind Steve “Captain America” Rogers (Chris Evans) and Tony “Iron Man” Stark (Robert Downey Jr.). 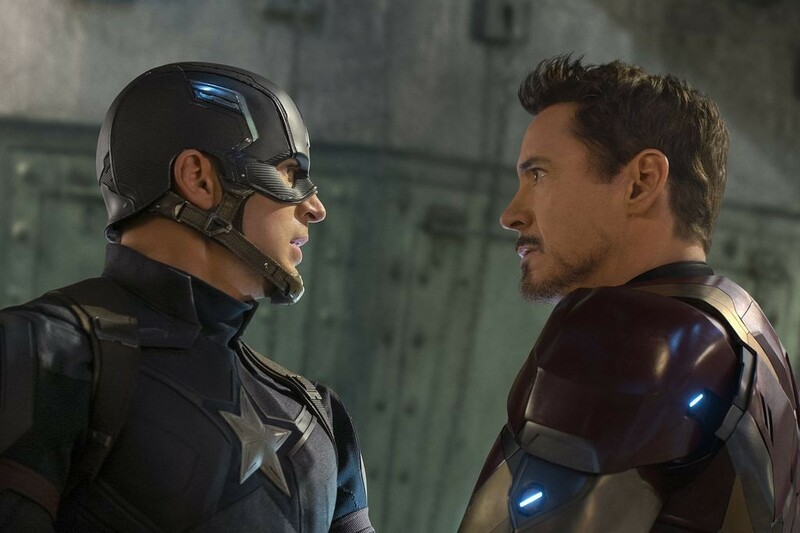 These two men have been in conflict since they met, and Marvel continues to make them consistent, realistic characters as they finally take sides against each other. Rogers has seen how government oversight works, and has no intention of signing up to be part of a team regulated by a political committee. Meanwhile, Stark is still traumatized by the events of the previous films and welcomes the opportunity to put the reins of the team into someone else’s hands. It’s unusual to see a film in which two protagonists are simultaneously acting completely in character, have clear and opposite motivations, and neither of them is obviously evil. It’s easy to declare yourself Team Cap or Team Iron Man and demonize the characters accordingly, but the film shows real empathy for everyone. It’s exciting to see a superhero movie really grapple with the inevitable collateral damage and personal difficulties of being superpowered without also strongly taking a side and dismissing arguments to the contrary. Rogers and Stark are both right, in their own ways, and “Captain America: Civil War” doesn’t really take a side. At this point, if you haven’t seen at least a few of the previous Marvel films (a quick Web search for “Marvel Cinematic Universe” will get you a full list), chunks of Civil War won’t make a lot of sense. Existing characters don’t get backstories or reintroductions except as quick asides – there are just too many things happening at once for this already-long movie to include a “previously on The Avengers!” type recap. In fact, the film is beautifully stripped down to the essentials: every scene is necessary to the plot. Every interaction tells us something about the characters that explains their actions, every fight has clear motivations. We also not only get to see most of the protagonists from previous Marvel movies, we also get introduced to a couple new ones: Spider-Man (Tom Holland) and Black Panther (Chadwick Boseman). It’s exciting to get a quick taste of them in preparation for their stand-alone films (announced for July 2017 and February 2018, respectively). Spidey is very much a teenager, and very much his early self from the comics: all banter and cleverness rather than sheer strength and moping. Black Panther even gets his own (very small) character arc. There’s much, much more to be said about “Captain America: Civil War,” and the film is basically designed to get people arguing about whose side they’re on. If you’re already a fan of the Marvel films, you probably have seen it by the time this review hits the papers. If you’ve seen some of the movies, but have mixed opinions, “Civil War” may fall on the positive side. It’s certainly better-organized (and less sexist) than “Age of Ultron” was. If you’re new to the Marvel films, you’d probably be better served by watching at least a few of the previous movies first, both for background and to see if you like the generally-consistent tone of the films.